Whether you are looking to relax in our “feel good” atmosphere or just need a cup for the road – we got your back. 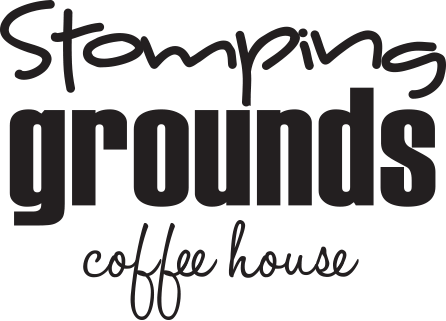 At Stomping Grounds, our top notch baristas care about you and your Stomping Grounds experience. Our guests are always our top priority and our friendly staff makes certain you are 100% satisfied. This coffee cafe has it all. Amazing coffee, great food and a staff that deserves several gold stars! I could have spent hours here. Definitely worth a try if you are in the area. Stopped by this place on the way to the falls and loved it. The atmosphere is so cute and spacias. Most importantly the coffee is delicious and the Mexican wrap was great as well. The staff was so nice too. I will come back for sure. I love everything about Stomping Grounds Coffee House. The staff is wonderful and the coffee is delicious! The drink selections are creative and you can't go wrong. The atmosphere is cozy and hip and the same time, I love to come her, grab and drink and work via their free WiFi. I come here every week to study or meet with people. Coffee is great, staff is very friendly and food is delicious. Very homey. One of Portland's best for sure.